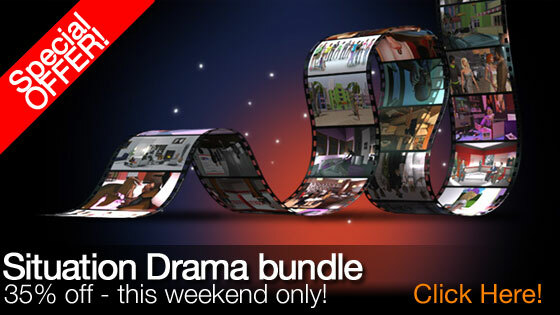 This weekend - buy the Situation Drama bundle for 35% off, and youâ€™ll get Moviestorm for life for less than the normal price of a one-year license. Thatâ€™s under $50 for a complete movie-making suite plus the modderâ€™s workshop and 11 extra content packs! Use coupon code DRAMA3 at the checkout - applies to both online and box purchases. Posted this one on my Facebook page too and I am going to contact some of my friends who will be interested in this as it is a great deal.